This took me ten minutes to read but is going to stay with me for a lifetime. Jenny is a sweet young girl with two little puppies, just like every other child in the playground. When Azula comes to take her away, Jenny wants to make sure that she is headed where all the other children went. I feel as though I was anticipating a different outcome, but I was very happy with the ending. This is one of those short stories that makes you question right and wrong -- and everything you thought you knew and understood. 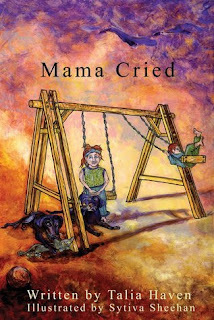 This short story is so much more than just a little girl at a playground with her two dogs and I highly recommend it to anyone who wants to be blown away.